Pairing an Apple Watch with an iPhone makes Siri easier to access than ever. But with a new voice-controlled Apple TV said to be on the horizon, Siri seems poised to become an even more prevalent part of the Apple ecosystem. 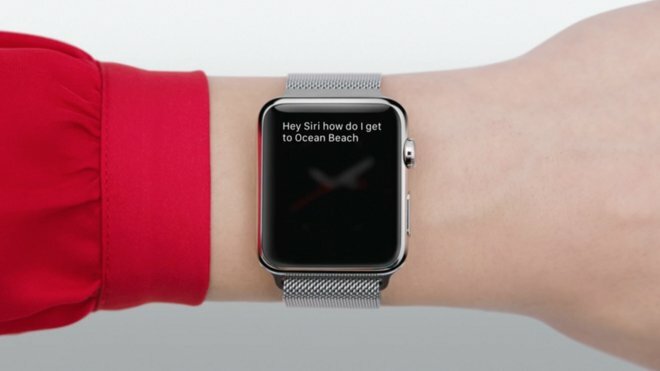 With the Apple Watch, users can simply raise their wrist and say "Hey Siri," followed by a command or inquiry, and Apple's voice-driven personal assistant will immediately get to work. 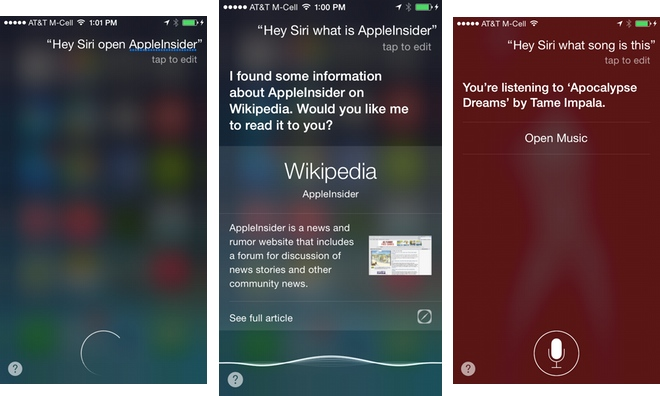 "Hey Siri" functionality was actually introduced with iOS 8, allowing users to invoke Siri without the need to hold down their iPhone's home button. But "Hey Siri" on the iPhone or iPad requires that the handset be plugged into an external power source, as the always-listening microphone functionality drains battery life. It's also an optional setting that is disabled by default. No such power requirement is needed for the Apple Watch, as the wrist-worn device will respond to they "Hey Siri" command once a user raises their wrist or activates the Watch display. "Hey Siri" is one of the strongest features of the Apple Watch at launch, making it easier than ever to have quick access to information. 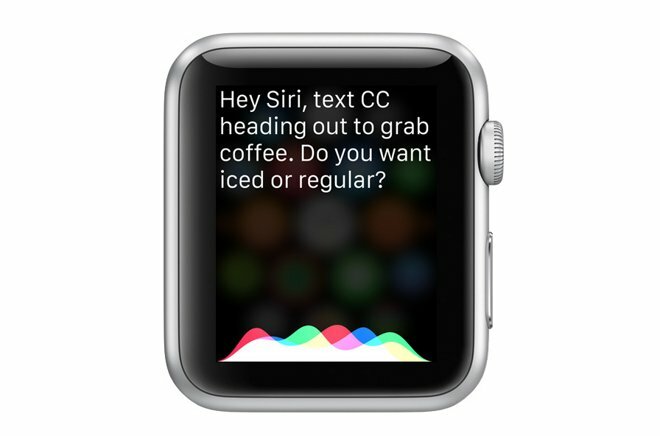 But its inclusion in the Apple Watch also makes it clear how "Hey Siri" functionality could become even more valuable, particularly with an anticipated Apple TV refresh. Apple is widely expected to unveil a new Apple TV at its annual Worldwide Developers Conference in a matter of days. It's been said that the next-generation Apple TV will include Siri voice control support, serving essentially as an always-on personal assistant based in the living room. It's easy to see how "Hey Siri" would play a crucial role in this, serving as the combination of words to invoke Siri without the need to press any buttons, or have a phone nearby or Apple Watch on your wrist. From there, the possibilities for an always-on Siri are nearly limitless, ranging from basic access to information, all the way to controlling smart home accessories through Apple's HomeKit tools. Future iPhones and iPads could also gain always-on "Hey Siri" capabilities, if Apple were to include low-power listening capabilities in a future A-series chip. A number of Android devices offer similar "OK Google" support, available on Lollipop-powered handsets including the latest Snapdragon processors. Finally, users have long waited for Siri to come to the Mac, and always-on listening capabilities would be a natural fit for OS X. Enabling "Hey Siri" across all devices does have its drawbacks, however. For example, saying those magic words while in a room with multiple iPhones and/or iPads charging results in a cacophony of personal assistants, all trying to respond to your command. Such minor quirks should be easy for Apple to fix, however, as it works to make Siri the ubiquitous voice-control platform, always at your service whenever you need it.